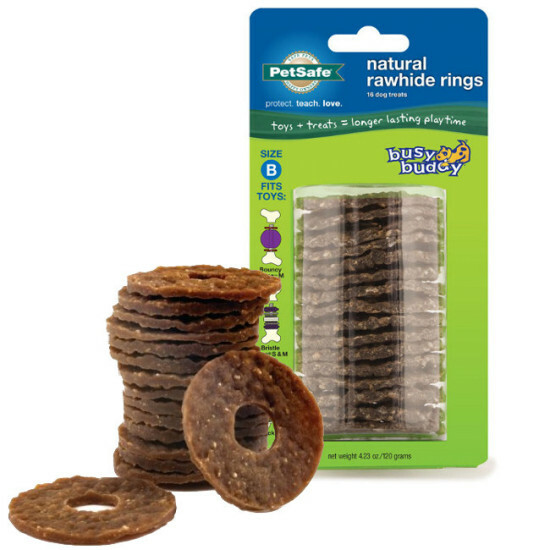 16 irresistible, refillable natural rawhide treat rings in original rawhide or peanut butter flavors. Busy Buddy treat rings are designed for use with select Busy Buddy toys, including the Bouncy Bone™, Bristle Bone®, Nobbly Nubbly™, and Jack. 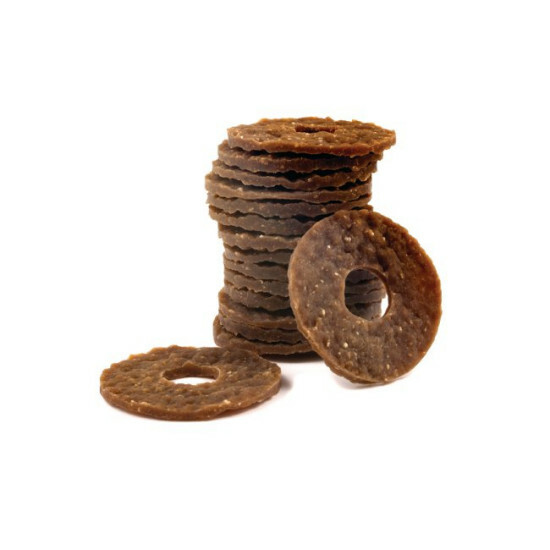 Make playtime last longer by adding these treat refill rings to your dog's Busy Buddy toy.